Business form printing can help keep your business organized and ensure consistent professionalism. We print many types of business forms and are capable of designing your forms from scratch or re-setting existing files. 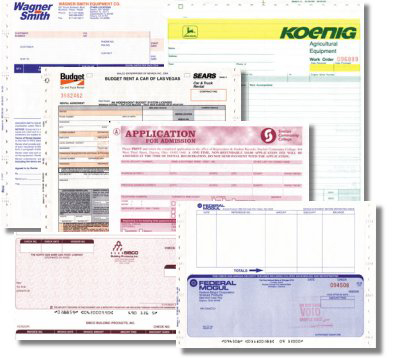 Want more information on business forms printing? Upload files for business form printing. A member of our sales team will be in contact with you regarding your files. Request a quote for business form printing. A member of our sales team will be in contact with you regarding your request. Contact us for more information about our business forms printing services.